1. It’s much easier. Preparing worksheets for four notebooks was a lot of searching, printing, collating and hole punching. Certainly not hard work, but time-consuming nonetheless. I was able to see past it all before, because I thought the worksheets were so attractive and they were – in theory. In reality, my sons were attracted to the fun worksheets for the first few weeks and then were just more interested in completing them. Why? Because no matter how great the worksheet, my boys found the real fun to start after they were done (when they were able to play and pursue their own interests). 2. It gets to the point. 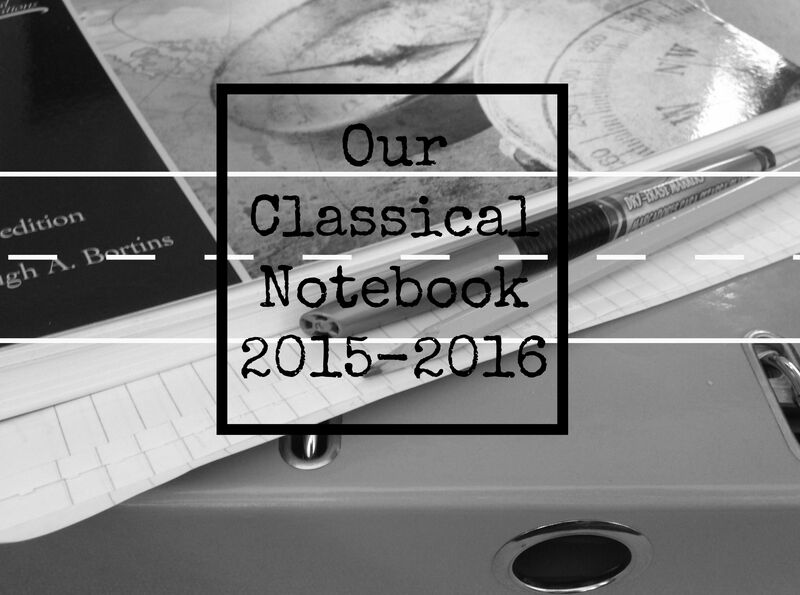 We use our notebooks to practice two main things: our memory work and copying skills. Using blank pages maximizes my littles’ time by permitting them to focus on the purpose of the tasks and the development of their skills, not accessory tasks. As Leigh Bortins shared in The Core, “Copy work is the tool used to develop…” self-discipline, reading, memorization skills, fine motor skills, hand strength, and beautiful handwriting. We lose none of that skill development in simplifying the medium, in fact we might be amplifying it. 3. It’s more flexible. We’re not stuck with worksheets for memory work they already know or worksheets we missed due to bumps in the road, like travel or sickness. And if they need more practice, I can simply pull out another sheet. I thought about using spiral bound notebooks, but ultimately decided on three ring binders. With three ring binders, I can mix the paper types for each task while still containing it all in one place. So, I’ll be offering blank sheets, lined pages, and draw and journal pages (link for free, printable pages). We can even hole punch our tracing paper used for geography. My littles can pop a sheet out if they want to do it flat on their desk and easily put it back in after so it doesn’t get lost. 4. It’s more independent. I’ll be homeschooling three “school-aged” boys this year with my preschooler and one year old by my side. And y’all know that means plenty of distractions. By keeping the notebooking work simple and predictable, my guys will mostly be able to complete their work without my help. That independence will be key to keeping our days on track. I’m saving time, money, and energy, but keeping all the elements that are important about notebooking: memory work review, organization, and copying skills. Now that you know why we’re doing notebooks this way, I’ll share more on how we’re going to do it. I have a three-tier paper tray with the three styles of paper I’m offering in reach for my children. Each little has a one and a half inch three-ring notebook filled with dividing tabs numbered 1-24 for each week of CC. We purchased these last year and we’ll be re-using them. I loved the idea of a loop checklist I head about from Brandi (look near bottom of post), so I’ve created a loop checklist for my two oldest. I’ll place a copy of this in the front of each tab for them to check off as they complete their tasks. Our presentation printable will also be in the front of each tab for them to use weekly. Our Foundations guide will be on a low shelf for my littles to reference for daily copywork. I also have the memory work flashcards, so if they prefer they can copy from those. I might even get one of these or these (which could be used with the CC app on an iPad too) to make it easier. Side note: My 4 year old will have a notebook for practicing numbers, letters, shapes, etc, but not CC memory work. She and I will review the memory work together. I’m looking forward to it! Keep in mind notebooking comes in all shapes and sizes. As our littles grow older, I imagine our notebooking use will vary. As you know, we’ve done it other ways and there are plenty of other great ways out there. But I believe this simple, effective, and efficient way will work well for us and be our go-to method for reviewing our memory work this year. Are you notebooking? How similar or different are our ways? I’d love to hear how you do it! I am planning on doing a learning notebook for my youngest, who will be in the Foundations program this year. I spent this past week getting it ready. She will be doing a combination of worksheets and copywork. 🙂 The goal for this notebook is to have something she can do independently that will help her review her Foundations memory work. Of course we will be reviewing memory work together as well. I plan for her copywork to be a mix of Foundations memory work and selections from classic literature and poetry. We are using just spiral notebooks for our copying but a similarly simple idea. Last year, I let the kids use my foundations guide a lot by themselves. This year, I’ll copy the appropriate pages for them to access. The overuse as we practiced for memory master last spring led to a page ripping out of the guide. I thought I’d give you the heads up in case you run into a similar problem. Becki, thank you for the heads up! I always appreciate an experienced tip. 🙂 Perhaps using the document or book stand during copywork will help cut down on that kind of wear? Or maybe I’ll take out the pages & put in page protectors as I’ve seen others do. Hmmm, something to think on for sure! This will be the second year of CC for my girls (ages 7 and 8) and the first for my son (age 4). I’d love to know how much copy work you assign each day. We started copy work with scripture and literature this summer, and I want to continue with that in addition to the CC memory work… But I want to find a good balance. Any thoughts? Leslie, I wouldn’t do much at all for the 4 year old. Perhaps just letters or words depending on how much writing he is capable of. For my 4 year old, I just plan to do verbal review or review games. Your 7 and 8 year olds will probably be capable of lots. For me, it’s going to be less about quantity and more about quality of their work. I want them to do neat work and I want them to memorize the memory work. It’s going to take a little practice for me to see how much copying that actually looks like. They’ll copy the following subjects on a loop: history, science, english grammar, latin, and math. They’ll also do some geography work daily.